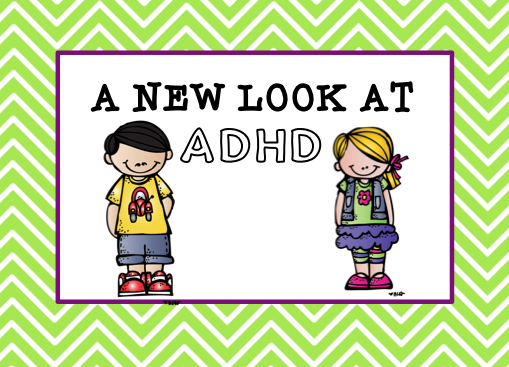 There are many books on the market about ADHD/ADD. One of my all time favorite books is The Edison Gene. This is one of those book you will read with a highlighter and post-it notes handy because there is so much information you will want to remember it all. The author, Thom Hartmann, uses the metaphor that people with ADHD are “hunters in a farmer’s world”. He gives examples of how different traits appear from the hunter’s point of view and the farmer’s point of view. (ADHD TRAIT: Poor attention span) A hunter with a short attention span is always watching for game or prey to enter his field of vision which works positively in his favor. A farmer’s attention is not easily distracted because slow and steady wins the race for a farmer. (ADHD TRAIT: impulsivity) A hunter needs to be flexible (i.e. impulsive) and able to change his strategy at a moment’s notice. He may start out hunting for a rabbit. But, if a deer comes along he needs to change his focus to hunt a deer because the deer could feed his family longer than a rabbit. A farmer needs a long term plan and should maintain his focus so his crop will grow. If he is impulsive and switches to different crops mid-season, his family could starve. Although we no longer live in a hunter society these same hunter traits can be found in certain occupations such as emergency room physicians, fighter pilots, policemen, entrepreneurial businesses, and salesmen. So, the next time you begin to feel a little frustrated with your student who is acting like a hunter, think to yourself, this child may end up helping me in the E.R. someday, or he/she may become a police officer and keep my city safer. All the “hunters” in your class have value! This is just a glimpse of some of the wisdom Thom Hartmann shares in his book. After reading his book, I’m sure your view about ADHD will change. This is a book all teachers should read. Click on the picture to read the author’s blog. Click on the picture to order the book. This looks like a fascinating book! I have two daughters who are hunters! It has been an interesting journey with them. It has also helped make me more compassionate with my students who struggle with these issues! Thanks for sharing! My husband's kindergarten teacher told his mother that he would never graduate from high school (he was always falling out of his chair, etc.). He is a college graduate and very successful. He has been told that people with ADD do better in his field because they can jump from one task to another, taking care of items with the most pressing priority first. I try to see that in my young learners who show ADD tendencies…. I wish all undergraduate education programs required this book for their program because all schools have a few "hunters". I think it would give new teachers going into education a different perspective.